The German conglomerate has admitted that it can’t sell its ill-fated Brazilian steel mill. Hiving off the good parts of Steel Americas is now the least value-destroying option in the short term. And it will allow the group to get serious about a much-needed capital hike. A woman walks past the of Germany's top steelmaker ThyssenKrupp headquarters in Essen. ThyssenKrupp AG has abandoned its plan to sell its Steel Americas unit, consisting of plants in North and South America, in its entirety. In a late-night statement issued on Nov. 19, the German industrial conglomerate said it had entered exclusive negotiations about a potential sale of its North American steel processing plant in Alabama. The company also said talks included a long-term slab supply contract for its loss-making South American steel mill, “a solution that would secure the value of the Brazilian steel mill,” the statement said. The German company has been looking for a buyer of both its plants in Brazil and the U.S., which have a book value of about 3.3 billion euros, for the last 18 months. The group’s Steel Americas unit has lost more than 9 billion euros since 2007. In light of the new developments, the group postponed the publication of its annual results, originally scheduled for Nov. 20, to Dec. 2. 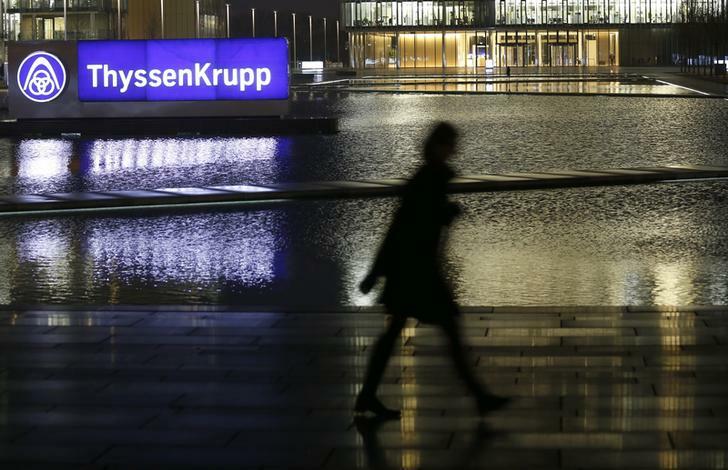 ThyssenKrupp’s share price lost 2 percent in morning trading.